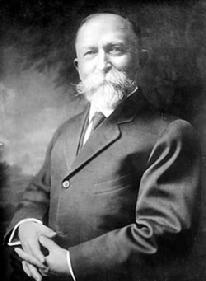 Dr. Kellogg was an American medical doctor, nutritionist, inventor, health activist, and businessman. He was the director of the Battle Creek Sanitarium in Battle Creek, Michigan. Kellogg was a major leader in progressive health reform, particularly in the second phase of the “Clean Living” movement. He wrote extensively on science and health. His approach to "biologic living" combined scientific knowledge with Adventist beliefs, promoting health reform, temperance and sexual abstinence. The sanitarium approached treatment in a holistic manner, actively promoting vegetarianism, nutrition, the use of enemas to clear intestinal flora, exercise, sun-bathing, hydrotherapy, and abstention from smoking, drinking and sexual activity.